Thanks to everyone who participated in the "Make Up Your Own Holiday" Blog Hop. My son had an excellent 2nd Birthday. We had so much fun with our family and friends. I just wanted to share this photo of my son in the t-shirt that was shown in my post for the hop. That's my little man. He has his picture taken so often that he has perfected his "cheese" smile. Tambo, You have an email waiting for you at the email address you listed. Today was my day to be Guest Designer at One by One the Flamingos are Stealing my Sanity. Please hop over and vote for my "Peanut Butter and Jelly" Day. Again, thanks to all of you for joining in the hop and have a great day! I LOVE getting goodies in the mail. Yesterday I received my stamp from Stamp Out Online. I LOVE it!! It saves me so much time. Please stop over and look around! 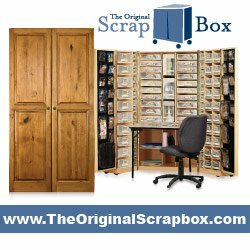 I'm sure all my crafty friends out there will find something they love. My Candy givewaway will be open thru April 2nd so click HERE to enter. 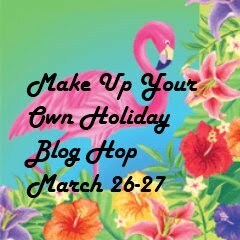 Also, come back on Saturday & Sunday for the "Make Up Your Own Holiday" Blog Hop. It will be a great time and there will be goodies to win. Hope you can stop by!! If you haven't voted at Karel's blog: One by One the Flamingos are Stealing My Sanity, then please go vote for my Peanut Butter and Jelly Day!! Thanks for visiting and stay scrappy! New Facebook Page and a 4th way to win my Giveaway! You are all awesome!!! For those of you that have already entered the "Thank You" Giveaway, I will be adding this as a 4th entry. If you haven't entered my giveaway yet, what are you waiting for, get in there!! This giveaway will end on April 2nd, 2011 at 12:00 pm EST. The winner will be drawn on April 3rd, 2011 using random.org and will be announced as early as possible that day. 1. 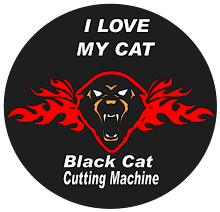 Become a follower, if you are not already, and leave me a comment telling me so, including your email addy. You must complete this step to qualify. 2. Share a link to this giveaway in the sidebar of your blog and leave me a comment, including your blog url. 3. Share this link to my etsy store: http://www.etsy.com/shop/ShortnScrappy on facebook or share it in a blog post and leave me a comment including your url. 4. Go to my Facebook Page and click "Like". Leave a comment that you have "liked" my page. Easy enough! Thank you all again for being my fabulous online friends and good luck. Good morning all my fabulous followers! Hope you are having a Happy Hump Day. 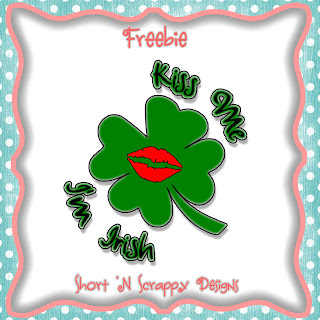 I just popped in today to share a shamrock file I made. The zipped file includes the svg and the mtc files. To see more files in my Etsy store click here. Babe, I am sending your file shortly so please reply to it so I will know that you received it. I used random.org to generate the winner this morning. 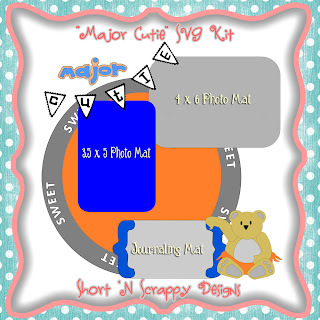 If you really like this kit and want to have it for yourself, you can purchase it from my shop: Short 'N Scrappy Designs. Before I go I want to let you all know that I will be having a giveaway to celebrate all my followers. I will post on this soon, so stick around! 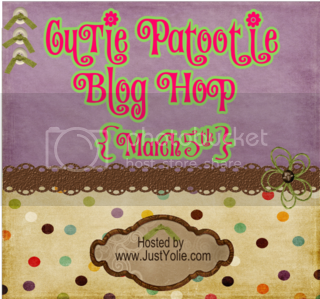 On Saturday, March 5th, I am participating in the "Cutie Patootie" Blog Hop hosted by Yolie @ Just Yolie, Just Create. There will be some super cute projects to gander at as well as some candy along the way. Come back Saturday and hop along with us. I will remind all you fabulous followers again when we get closer to the date. 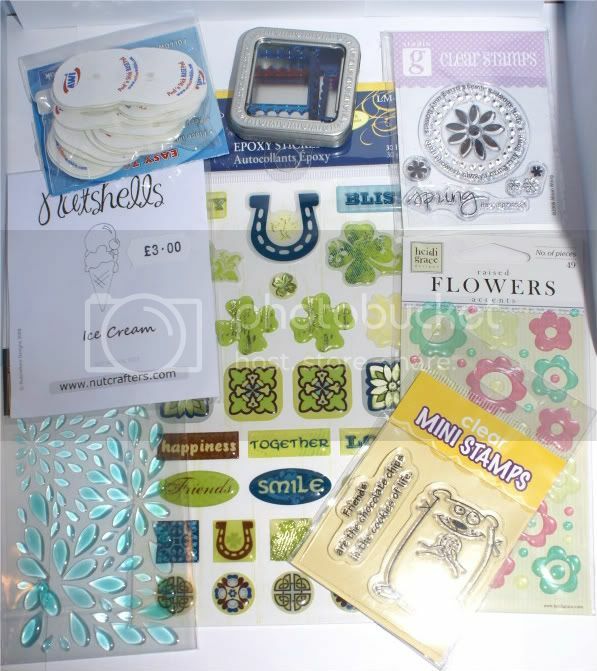 Also, Kellie from Tickled Pink Stamps is having an 800 followers giveaway. Full March Release, 6 images and 1 sentiments set. Choice of 3 Rubber Stamps.